Home » Blackwater III- did the Government skew the evidence? This is a photo of Nisur Square taken moments after the engagement. notice anything missing? Keep in mind that NO AUTOPSIES were done on any of the alleged victims. No forensic evidence was processed from even one of the people who reportedly were “massacred.” No ballistics, no corroborative testimony, just the word of Iraqis who said their relatives were killed. 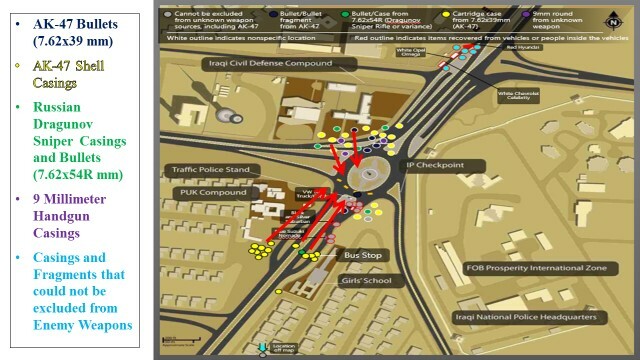 At least one of the “victims” was reportedly several miles away from Nisur Square at the time of the incident. Some of their stories almost gave the Blackwater team super powers. Yet the FBI – part of Eric Holder’s Department of Justice — took the word of the Iraqis without question. 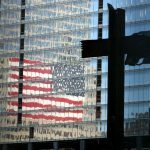 All in all, Iraqi witnesses made numerous claims about nearly 30 vehicles – overturned cars, people killed when they tried to exit their cars and took off running. Lots of claims made about cars. Yet the DOJ opposed the defense’s Constitutional right to have the cars (evidence) produced for their own inspection. But look back at the picture — where are all these 30 cars? If this was a massacre, where are all the bodies? 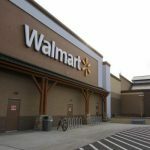 Why do the people appear to be nonchalantly walking around without any frenzied running? With 14 people dead in the street, people should have been tripping over bodies. If there were 18 people injured, where are they? The ‘crime scene’ was not secured. 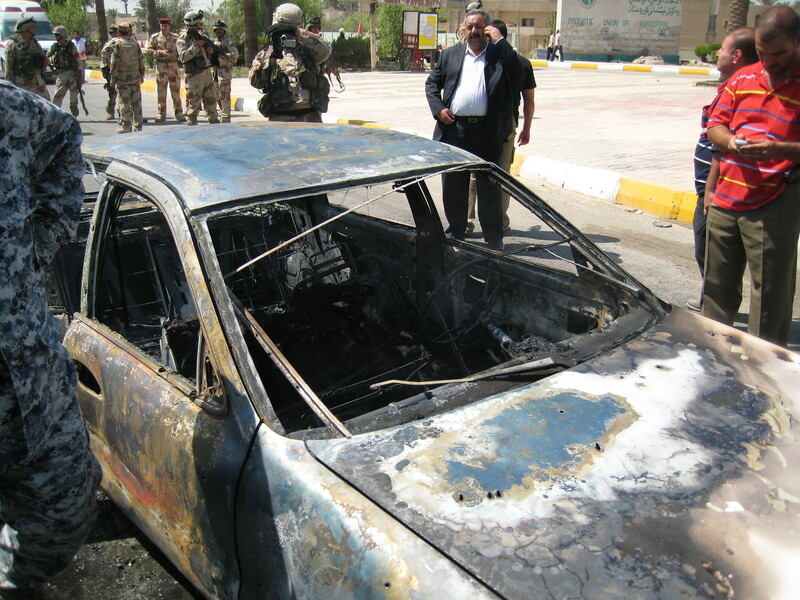 Iraqis wandered through the area, picking up shell casings and gawking at the burned out hulk of the Kia. Groups of Iraqi soldiers stood around talking in the exact spot where some of the incoming fire from insurgents originated. 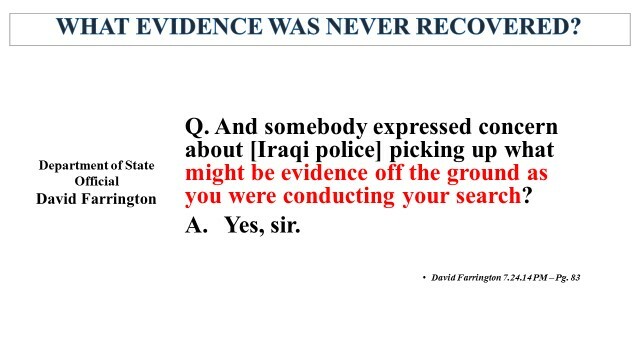 The Iraqis claimed to have recovered “pillowcases” full of evidence, but no bags of evidence were brought to the trial. One witness alleged that a bullet from Raven 23 traveled a long distance southward to the checkpoint not visible from Nisur Square, killing a man named Mushtaq Karim. The only person to fire in that direction was Jeremy Ridgeway. He also testified that helicopters rained down bullets from above. Blackwater Air personnel fired no rounds whatsoever- but they DID provide an eyewitness account of men dropping weapons and Iraqi police uniforms behind embankments… testimony which was virtually ignored. Witness Tampering- Iraqi Colonel Faris, who arrived just minutes after the incident, is an official from the Iraqi Ministry of Interior, and the Iraqi Chief of Police (lead investigator), carrying a lot of clout. He was on scene immediately after the incident. Despite being brought to the US to testify at taxpayer expense during the trial, the prosecution never called him as a witness. Iraqi witnesses testified that Faris coordinated their interviews. After a convoluted testimony, one witness made it clear that Colonel Faris claimed to hold sway over the actions of the Iraqis. Some of the Iraqi witnesses confessed that statements written by policemen were given to them to sign. One witness testified that it was ok for him to lie when it is “justified” (of course it is- remember “taqiyya”- the Islamic practice of lying.). Witness Jassim Hisham, claimed that he was shot in the head, causing serious memory loss and wasn’t able to remember things. But when asked what he remembered from that day, he was very vivid in his answers, down to the details about changing his clothes out of his police uniform. Was he coached? 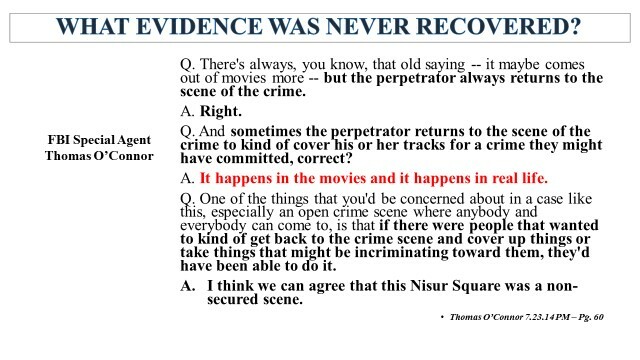 Then he testified that he really didn’t see anything because he was taking cover behind a concrete abutment. ? 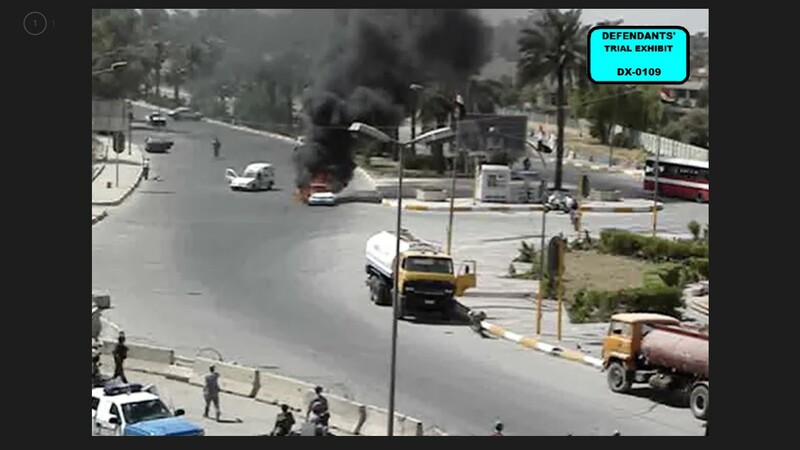 Remember – testimony from truck 4’s witnesses said that men dressed as policemen were shooting at the convoy, and Blackwater Air personnel testified to seeing the clothing change. Not only did the Iraqis not turn over evidence they supposedly collected, but of all the alleged “bullet” fragments collected by the FBI, NOT ONE SINGLE bullet fragment matched ANY Raven 23 weapon. In addition, the DOJ instructed the FBI NOT to test ballistic evidence from enemy rounds collected at the scene. This photo shows damage to the command vehicle. 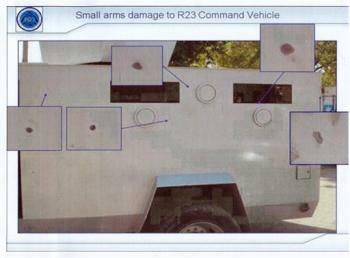 Multiple witnesses testified that damage to the Command vehicle was caused by small arms fire. But the government did everything in their power to confuse that evidence by insisting grenade “blow back” fragments were the cause. When things didn’t go their way, they resorted to sarcastic remarks. 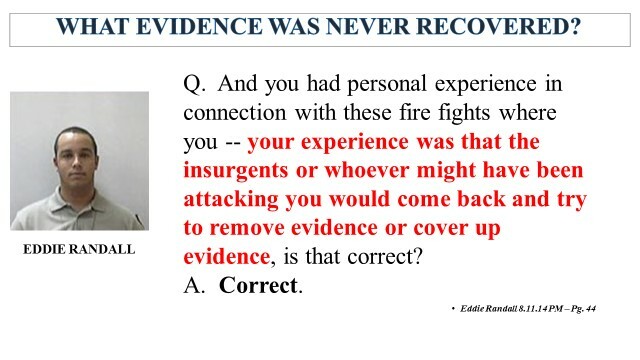 Example: One member of the Blackwater team, Eddy Randall, experienced the derision of the prosecution after it was revealed that his testimony did not match what the prosecution hoped. Basically the prosecution alleged that the Blackwater team shot themselves. Eddy was only one of numerous witnesses who stated that the damages to the truck were bullet strikes. The government, however, put on an “expert” witness who conducted a “test” of what blowback from a grenade might look like. Problem: Mr. Randall testified that the strikes on the truck came AFTER he heard the grenade explosions go off, not during. The prosecution sarcastically asked him if he saw a bullet fly through the air, and during rebuttal called him “Superman Randall” who could “tell the difference between a bullet and fragments.” Mr. Randall ONLY testified to seeing the impacts on the truck – the prosecution attempted to discredit their own witness, and used sarcasm to do it. Note: the prosecution’s “expert” witness was nowhere near as experienced in firearms or grenades as the Blackwater team. It is heartbreaking to read how our DOJ missuse our brave men/women! Yes, George, it is appalling. Good men going to prison for defending themselves. Crazy.